The shutdown of the health care system during the unrest and curfews in the Kurdish-dominated southeastern provinces of Turkey since peace efforts collapsed in July 2015 has had disastrous effects on people’s ability to access health care services – resulting in deaths and exacerbating the consequences of untreated injuries and illnesses – also potentially giving cover to serious human rights violations, a report by Physicians for Human Rights (PHR) said. According to the PHR report during 11 months of curfews, Turkish security forces deliberately and illegally obstructed access to health care by using state hospitals for military purposes, preventing the free movement of emergency medical vehicles and punishing health professionals for delivering treatment to the wounded and sick. “Local residents were shot at, and some were killed, for attempting to move their wounded family members to safety,” the report said. A doctor who spoke to PHR on condition of anonymity said the Turkish state wanted him to look at the people around him, including his patients, and treat them as enemies. The report details widespread grave human rights violations committed by Turkish security forces in the country’s Southeast. Since July 2015, the Turkish authorities have waged a campaign against the population of southeastern Turkey, imposing a succession of 24-hour sieges, known as curfews, which have blocked access to health care – including emergency medical treatment for life-threatening injuries or illnesses – and cut off water, food and electricity to whole cities, resulting in thousands of deaths. More than 600 Turkish security forces have been killed since July 2015 after the terrorist Kurdistan Workers’ Party (PKK) resumed its 30-year armed campaign against the Turkish state, which was halted during a settlement process launched by the Turkish government with the PKK leadership in 2012. There have been repeated clashes between security forces and PKK members since the cease-fire collapsed in July 2015. Nearly 200,000 locals in the Southeast have been forced to leave their homes due to fighting and curfews. 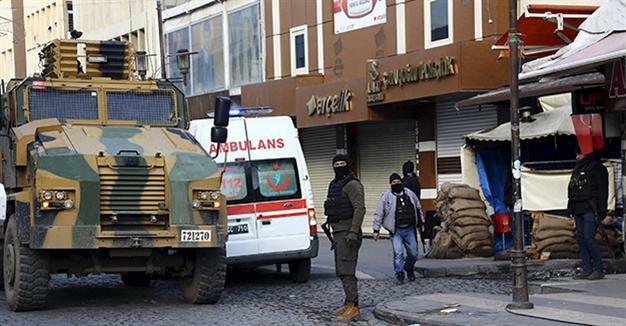 The authorities have been imposing curfews in southeastern towns and districts to flush PKK militants from urban areas in Turkey’s mostly Kurdish Southeast since the collapse of the peace process. The PKK is designated as a terrorist organization by the United States and the European Union as well as Turkey. This article originally appeared in Turkish Minute on October 14.